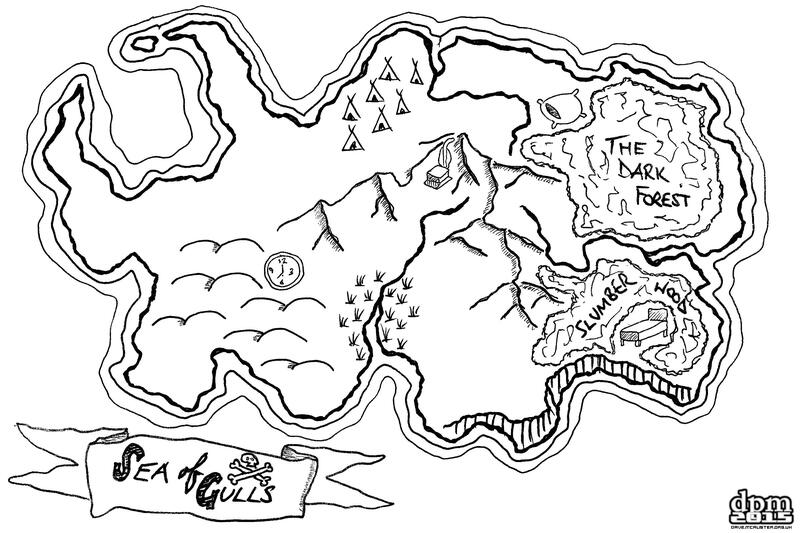 At last, I’ve completed the promised second treasure map for my wife’s Brownie Pack. It has a few “hidden” symbols in it that are related to clues that the Brownies will receive on a treasure hunt while on Pack Holiday. Although it’s not obvious, the map follows a general outline of the actual building they are staying in. So, for example, the swamp is in the same area as the bathrooms. Slumber Wood is where the dormitory is. The bay is where the conservatory is, etc. Even the name in the ribbon – the building is called Seagull House.